We live in the world of Social Media. Well it doesn’t take more that a flick of a second to sensationalize some weird challenge and get the people hooked on it. Over the last few years we have seen many of these dangerous and some absurd challenges like momo challenge, blue whale challenge, kiki challenge here comes which actually makes some sense. 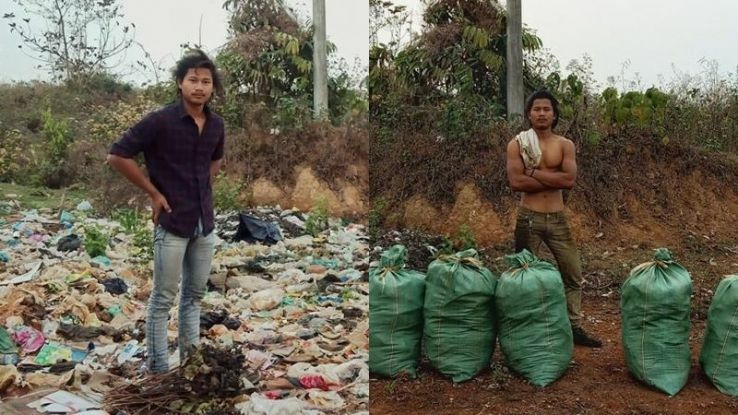 #trashtag has taken over all the social media platforms be it instagram, twitter, reddit for all the right reasons. People are enthusiastically posting pictures of the cleansed areas and sharing the stories of the transformation. 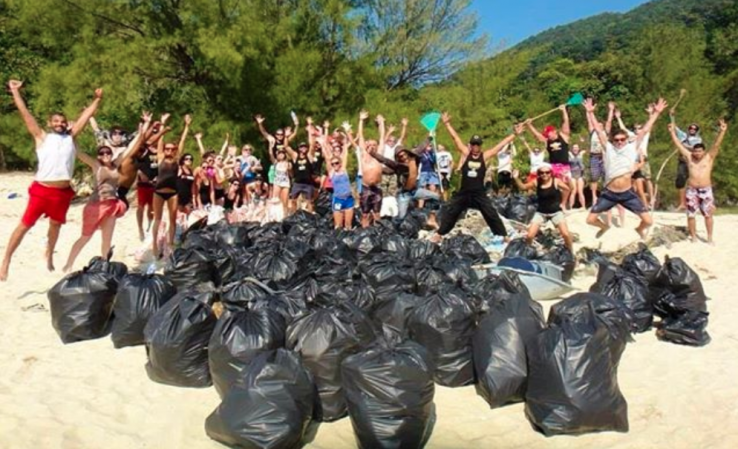 #trashtag has taken a cleaning spree all over the world and is known by different names like #cleanupchallenge, #trashchallenge and #challengeforchange. However we are happy because very few times a viral trend contributes to connect with the lives of people beyond the boundaries of the digital world. The challenge has spread the cleanliness drive all around the world and the results are quite amazing. Volunteers all over the world are encouraging people to clean up the litter in their surrounding and share the before and after pictures. Lakes, beaches, roads, societies and localities are urging people to join hands and participate in the initiative towards greener and cleaner land. 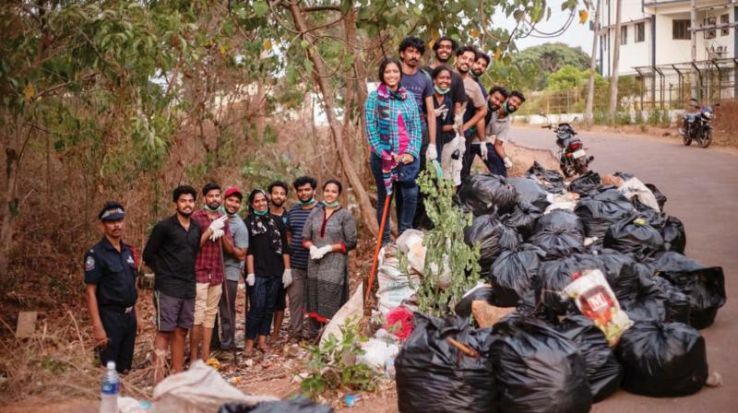 #trashtag challenge that took all over social media was an initiative by the students of Cochin University of Science and Technology. As a part of this movement, 20 students all over the campus collected more than 400 bags of waste and in turn cleaned all the campus.This was one of the kind of drive and an amazing cleanliness drive that shook the world. Since then the University is keeping strict eye and also installed the surveillance cameras in the campus. Students spend 1 to 3 hours everyday cleaning the campus. We live in the world where it is easy to indulge in an action and make it viral through social media. Let us use it for the benefit of the world and create a positive impact through it. And #trashtag has taken over the digital world and over the lives of people for al the right reasons. Unlike the mannequin and the blue whale challenge, this viral fad has got to have impressible effect on the world. As the world is getting dirtier and the land is getting covered in filth, we need to actively try out new ways and do our part responsively. Even it gets you to gain few likes and followers on social media that is icing on the cake. Latest trip ideas: » The top 4 cities in America that you must explore » Weekend Getaways From Pune » How to reach from Bangkok to Pattaya » Switzerland's Glacier Express train just got even more spectacular » Best places to have breakfast in Russia » Best cafes in Myanmar » 5 best places to shop in Bali » Your quick guide to Bali » Local Mumbai food you must try on your next trip » Weekend Getaways from Lucknow » HBO has hidden six thrones of GOT across the world for you to hunt down » Not to miss places in Istanbul » How Ghaziabad Airport will be a savior for Delhiites » Budget hotels in Myanmar » From the Streets of Benaras » Places to see in Northern Ireland » Weekend Getaways from Ireland » Italy’s first coral reef has been discovered » Luxury Hotels In Myanmar » IRCTC tourism offering six days Tour to Gangtok, definitely not worth missing » Weekend Getaways from Chandigarh » Weekend Getaways from Varanasi » Best places to explore in Bali » Worst Traffic Cities In the world » The best luxury hotels in Dalhousie » Best Restaurants in Nepal » Stay in luxury hotels in Nepal » 8 Best Bars & Clubs in Bali » All about Chengdu - Panda breeding center in China » Where in Jaipur you can do ultimate boho shopping?